If your school or education centre is utilising modular buildings to fulfil extra space requirements, improve classroom quality or provide temporary cover, then it can be difficult to see past the plain-featured walls and simple design to something that’s inspiring and exciting for students. 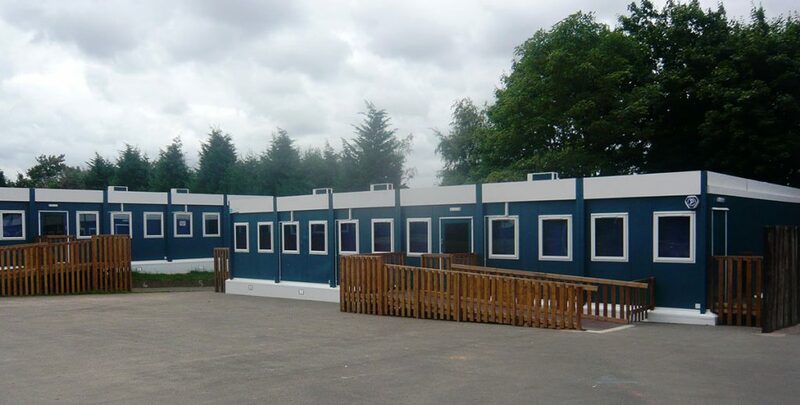 On the contrary, modular cabins can be a fantastic blank slate for education settings, to get pupils involved in learning and develop new skills. Here are some ideas to customise your cabins in unique and exciting ways. For a great, temporary way to get your students involved in decoration, design and project work, use blackboard wallpaper. This is a simple, yet fantastic way to turn every wall in your cabin into a work of art and let your pupils get their hands dirty. When you’re done for the day, simply wipe off the walls in preparation for the next set of lessons, or even peel off sections of wallpaper for a fully versatile classroom experience. Use your cabin as a ‘wind down’ room, rather than a traditional classroom; this is a fantastic way to encourage both mindfulness and quiet reflection in a busy school day. Fill your modular buildings with books, comfortable seating areas and individual areas for calm learning and development. Your students will appreciate the safe space in which to relax and it is sure to improve education and overall behaviour, as well as encouraging study and quiet learning. For schools with additional needs, or for younger students, a simple sensory play area is a fantastic way to use modular buildings, for anything from pure play to motor development. Additional space for traditional growth, as well as help for those students who need it, can greatly enhance the school day for younger pupils and encourage the development of skills. Looking for hire modular units for use within your school or educational setting? Contact us today to discuss how we can support the learning and development of children at your facility by providing you with the tools to enhance your students’ school day with just a few easy customisations that can have fantastic results.